I have no idea what I am doing when I’m on the river. And let’s be honest, none of us really do. We all go out fishing thinking we know exactly where the fish will be and what flies to get em with only to have our confidence crushed time and time again by these puzzling little creatures we seem to be transfixed on. I have no idea how I catch fish… but somehow I do, and it is fun so I keep doing it. So, yes, my name is Mark Rossi. I live in Kelowna, BC and I am an avid bushwhacker here in the Okanagan. And I bring good news to you all! The Okanagan region is fishing great! Lakes and rivers alike. The Okanagan is much different from the meandering foothill rivers of Alberta or the fast glacier fed streams of the Kootenays. Here in the Okanagan you better be prepared to fish lakes. We have a lot of them. I am not talking about the big ones, Okanagan, Kalamalka, Wood, or Skaha lake…. Good luck fishing those with your fly rod. Nope, I am talking about the little wooded lakes up on the plateaus above the valley. The interior of this province is pockmarked with them and they almost always have trout. Hop on any logging road that heads to the highlands and you’re bound to stumble upon one or more of these tranquil retreats. My favorites are Jackpine, Bear, Pinnacle and James Lakes. All are less than an hour drive from Kelowna. The small highland lakes of the region are home the the the famous Pennask Lake Rainbow Trout. Sleek, powerful and aggressive this strain of fish is stocked in tons of lakes around the province and for one main reason: they are blast. 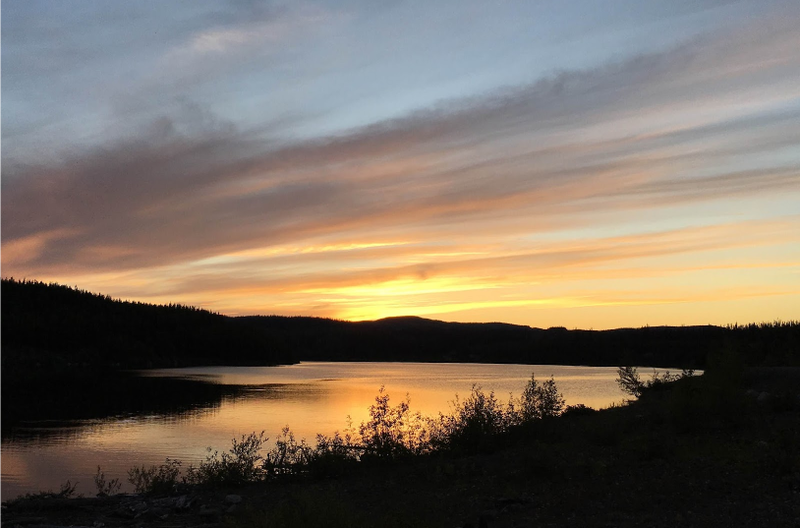 Once hooked the Pennask Trout is a hell of a ride, jumping incredible heights and charging unpredictably with that fire that is impressive even for a rainbow trout; truly a delight to catch. But it is not all lakes and Pennask Rainbow Trout here. 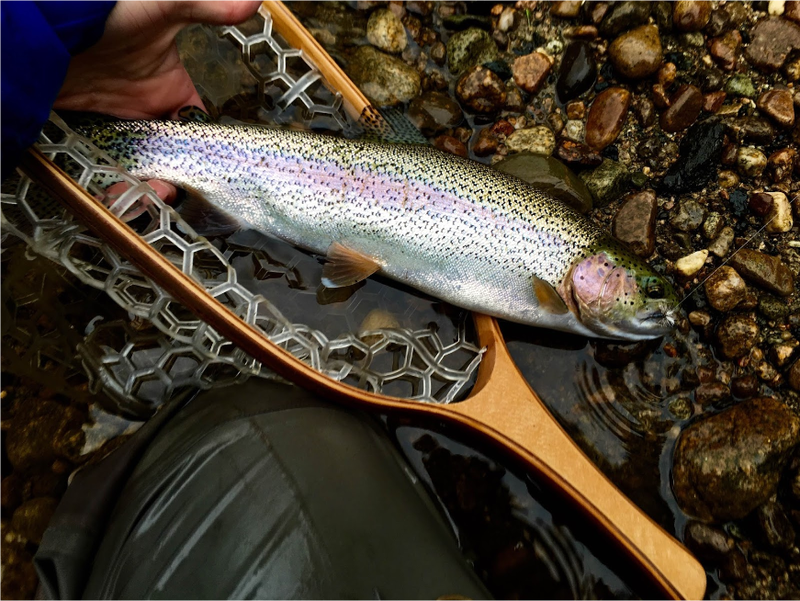 There are some really great river systems that get much less attention from anglers than they should. Which is a good thing for bushwhackers like you and me! My personal favorites are the Kettle River and the West Kettle River, and it is where I spent last weekend. This river is perhaps best known for the former rail line which followed the length of its valley, The Kettle Valley Railway. The railway is long gone now, all that remains is a bike trail, Highway 33, a few dusty small communities, the odd campground, and lots of fish in a scenic wooded valley. Although technically not in the Okanagan (it is actually considered Boundary Region) this is the closest and most productive river in which Kelownains can wet their line. This Saturday was spent fishing the Kettle in its upper reaches in the Christian Valley. Sunday I was on the West Kettle near the small town of Beaverdell. Although it poured rain all Saturday It turned out to be the more productive of the two days. My guess is that it snowed in the higher elevations overnight and meltwater lowered water temperatures enough to “chill out” the fish. Just a guess…. or an excuse, as to why we didn’t catch anything on Sunday ahah. Saturday was pretty great. It was pouring rain from noon onwards. 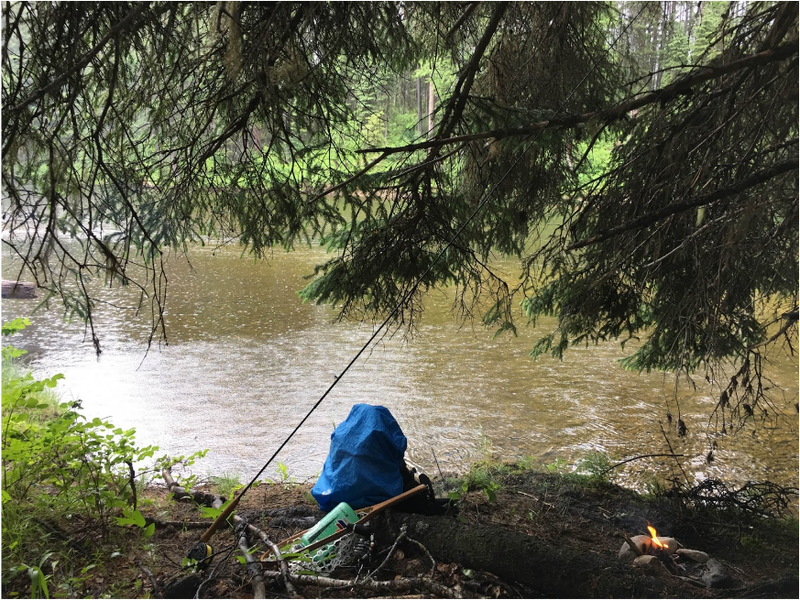 It felt like I was fishing for steelhead on a rainy coastal river; low fog, high, fast water, steep valley, and lush foliage always with the constant downpour pattering against my jacket. It certainly wasn’t your ordinary day on the Kettle; that Okanagan sun was nowhere to be found. 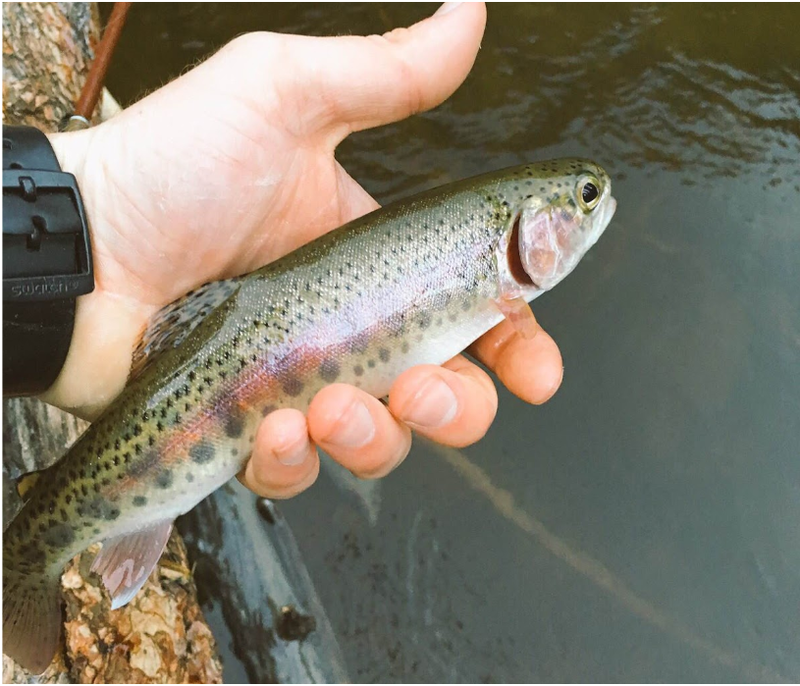 I managed to land some pretty nice fish, and even got them to take the dry fly. The drive from Kelowna to the Kettle can be a bit excessive… and expensive if you are poor like me. 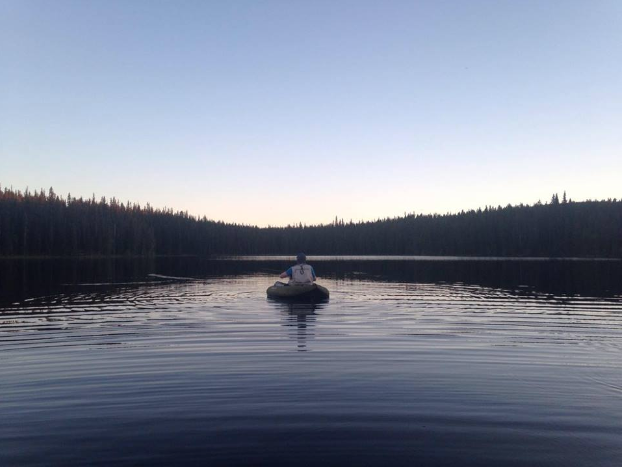 There are a few options ( for moving water) that I love to fish and are closer to town. One I have been frequenting in the evenings as of late is Mission Creek. Although, not open to fishing within the city (below Gallagher Falls) the upstream sections are a great way for me to get my trout fix a bit closer to home. Small rainbow trout is the name of the game here as it is in many BC streams. The fish here are fun, hungry and elusive. Don’t expect to break any records here, but the odd big boy has been known to get pulled out of the deeper pools. So that is just a taste of some of what this region can offer anglers. It was a very fun week of fishing and great to see the rivers in such great shape for this time of year. I hope you got something out of this post. I know I didn’t really touch on lakes but my focus for the next month will be on rivers as most of the moving water here closes at the end of July, after that I will hit the lakes more regularly. Sunset on a secret lake near Kelowna. No… I won’t tell you where it is. Don’t know if you are still monitoring this webpage… but any tips on where to access the upper Mission Creek? I never thought of fishing Mission Creek, but like you said, it’s close to home, so might be fun to try sometime… but looking at maps I’m not sure of a good spot to easily access the lake via public property, other than where Hwy33 gets close near Joe Riche? Also, how far up is Gallaghers Falls? Is it near Gallaghers canyon Golf? Or further upstream?